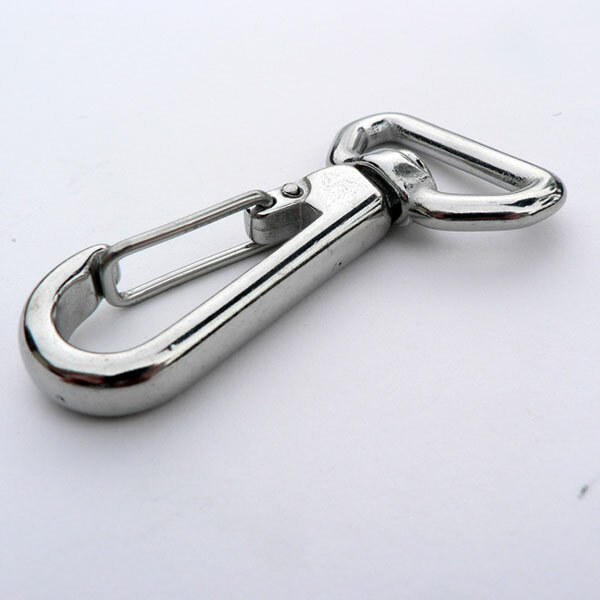 Simply put, this is a superior piece of stainless steel hardware, worthy of replacing the worn, broken or just inferior item your gear currently sports. The high polished, stainless steel, won't corrode and has the strength to carry the loads of your gear. 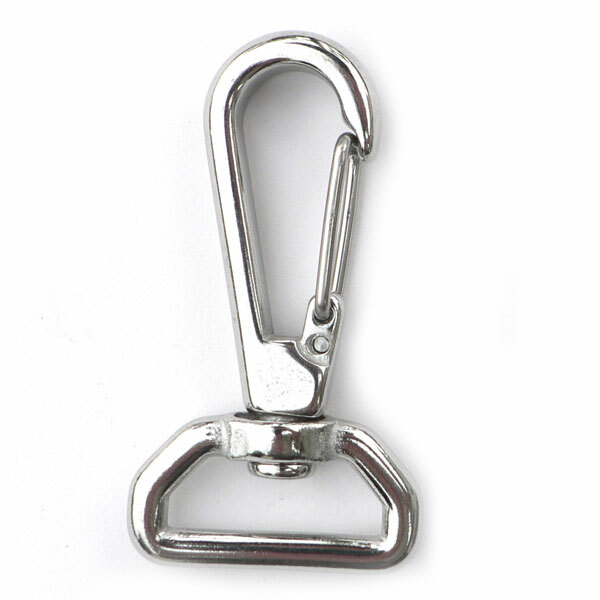 If you use web strap leashes with your pet, this clip is an ideal termination for clipping to the collar. 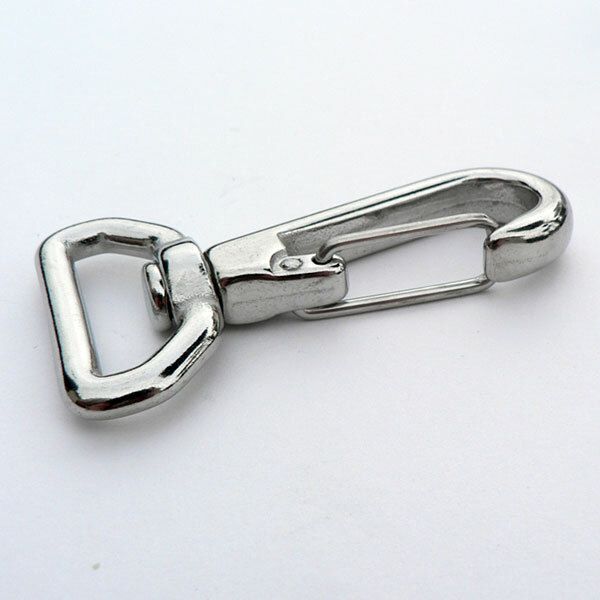 The hook of this clip will bend in loads exceeding 250 lbs so if your pet is a baby rhino, consider our stainless steel chain and one of the other clips instead. The swivel strap clip is an ideal part for removable shoulder straps on duffels, luggage and briefcases. One final note, this clip also utilizes the same torsion spring gate mentioned before. Note: highest quality adjuster features teeth on back to se- curely hold webbing. Round recess will accept swivel web clip.